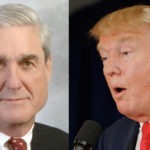 In the hours since Donald Trump’s DOJ mouthpiece William Barr released a laughably misleading “summary” of Robert Mueller’s report, we’ve been fortunate that numerous major media outlets have been willing to poke holes in Barr’s fish story, as opposed to merely repeating it as if it were fact. That said, a different narrative has developed tonight – particularly among TV pundits – about how Congress blew it by putting all its eggs in Mueller’s basket. But the facts suggest something rather different. Let’s hypothetically say that there never was a Robert Mueller investigation to begin with. The Democrats didn’t take control of the House until two and a half months ago, and the first month of it was dominated by necessary procedural matters. So if the House Democrats were the only people investigating Trump’s crimes and scandals, the earliest they could have gotten started with it would have been in February. It turns out they did get started with it in February, when Michael Cohen publicly testified about various Trump crimes. So the House Democrats didn’t actually lose any time at all by “waiting” for Robert Mueller to finish. They’re on just about the same timeframe they would have been if Mueller’s probe never existed. The difference is that, because Mueller did what he did, people like Cohen got busted, and ended up being willing to testify against Trump in front of Congress and the public. There’s certainly reason to argue that House Democrats would have been better off today if the (real) Mueller report became public, as opposed to Barr’s nonsensical “summary.” We’ll see how quickly the Democrats can use their subpoena power to get their hands on the report. In the meantime, it’s difficult to argue that the House Democrats have lost any opportunities as a result of the Mueller probe. It’s just going to be a matter of how much or little they’ve gained from it.